I’m an anomaly in my department. Generally graduate students hit the ground running as they come in, teaching an introductory recitation from their first day on campus. Because my advisor had a large grant, I was able to, instead, stay on a research assistantship for two years before I began teaching. This gave me plenty of time to hear my peer’s horror stories about their students. By the time I began teaching last fall, I had developed quite the mental image… From their descriptions, I imagined a brainless, unmotivated mass of young people incapable of producing coherent thoughts beyond the excessive excuses they provided for missing classes, assignments, and tests. Imagine my surprise when I walked into the classroom for the first time and was met with an alert, well-prepared, and intelligent group of students. This was not true of all of my students, of course. A select few remained sloth-like throughout the semester, and I’m sure that I’ll have a handful of sloths this semester as well. They’re probably the source of the mass horror stories. Those choice few, though, do not detract from the magic that is a classroom mostly-full of wonderful students. Beyond this, I’ve encountered a handful of very motivated students. In all of my fear, I had never imagined that I would have students interested in staying after class, coming to office hours, and emailing me in order to learn more about material. More than that, I never dreamed that they would be doing this for material that they knew would not be included on tests, meaning that they wanted to, *gasp! *, learn for the sake of learning. This creates a unique, albeit wonderful, problem. It means that I need to learn how to best respond to these motivated students in a way that will feed their curiosity and keep them interested and motivated. This is easy outside of the classroom when we can have individual conversations, but I’m not yet sure how to reach out to them during classroom time and assignments in a way that will work not only for them, but also for the more traditional students. How do you guys reach your masses in the classroom? 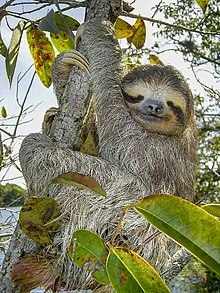 Do you have tips for creating assignments and discussion topics that are beneficial to everyone (from sloths to the super-motivated)? This entry was posted in Uncategorized and tagged Motivation, Students, Teaching. Bookmark the permalink. watsonaj on Abandoning Pokie (Alternatively: What is Work-Life Balance? sreyoshi on Abandoning Pokie (Alternatively: What is Work-Life Balance?